There are many ways to do liposuction, for example liposuction can be accomplished painlessly either totally by local anesthesia or with general anesthesia. In the realm of liposuction, maximum speed and maximum volume of aspirate are not criteria for excellence. Ultimately, excellence is measured in terms of patient happiness which is a function of safety, patient comfort, finesse, and quality of results. 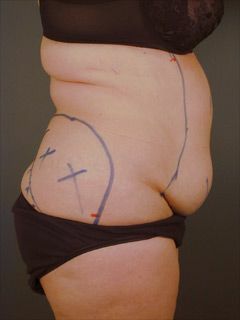 The important distinction between liposuction surgeons who are board certified is the liposuction technique that they use. The surgeon’s specialty is not as important as the surgeon’s technique, experience and attitude toward safety. Disfiguring skin irregularities and depressions are frequently the result of the surgeon’s inattention to detail. For example, if a liposuction surgeon attempts to do too much on a single day, and becomes fatigued, the result may be an inattention to detail, and undesirable cosmetic results. A liposuction cannula is a stainless steel tube inserted through an incision in the skin that is employed to suction the fat. The size of the liposuction cannula can influence the smoothness of the skin after liposuction. The use of large cannulas tend to create irregularities more commonly than microcannulas (outside diameter less than 3 millimeters). Surgeons who do total-body liposuction tend to use larger cannulas.